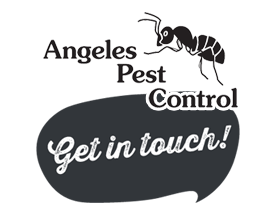 Our Maintenance Program covers general pests; such as ants, Yellowjackets, European Wasps, Baldfaced Hornets, spiders, earwigs, sow bugs, pill bugs, Mediterranean Seed bugs, centipedes and millipedes. Our service consists of 4 spray services during the bug season, which is beginning in March or April and ending in September or October according to your Route Schedule. We complete our entire client list within a 2 month period. On the first and last services we make sure that we are getting our chemical spray against your foundation. Since it is basically protected by your eaves it will have a longer life span. Sun, wind and rain will breakdown the chemical. The sun is the most harsh. This means that you must be sure that all vegetation is clear of your structure by at least one foot. We also spray one foot up against your siding. The middle two services we are paying close attention to getting a spray down, watching for any trailing ants and also watching for spiders, Yellowjacket, European Wasps and Baldfaced Hornets under your eaves. If you should have any problems before your next scheduled service, just give us a call and we will arrive at no extra charge. If you need to contact us about any problems just before your next service, be sure to call our office at least 2 days prior so that we are aware and can be prepared. It is very important that if you have any pets, that they are restrained from access to us as we are servicing your home. Be sure to have any gates unlocked so that we can get around your entire foundation.